Mt. Mihara is a symbol of Izu Island that has erupted many times I the long history. 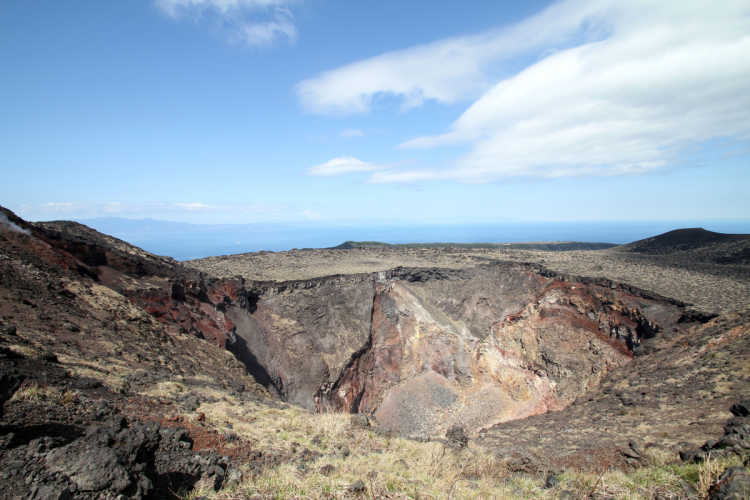 We could see the majestic caldera from a walkway around a crater. You can feel that the earth's alive now to see the steams spouting out around here.